Social Democrat (SPD) leader Martin Schulz could be facing a possible scandal as details have emerged regarding unusual contracts he made for friends when European Union President. 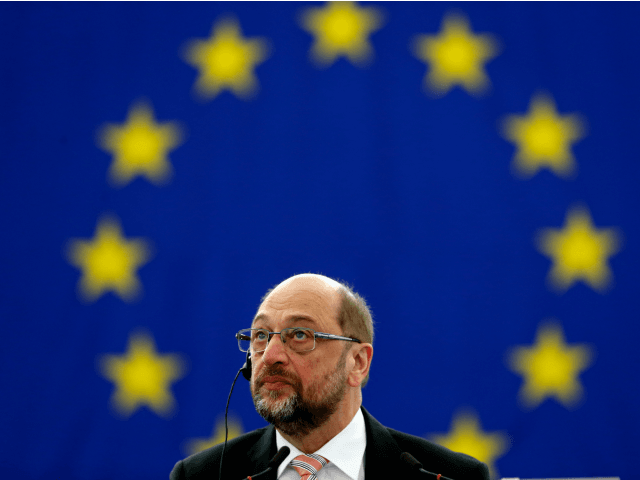 The allegations of potential misconduct by the former European Union president revolve mostly around a man named Markus Engels, a long-time confidant of Schulz and his current campaign manager for the German federal elections later this year. According to reports, Schulz gave Engels a lavish contract in 2012 to represent Schulz interests in Berlin, though he was registered in Brussels — allowing him to avoid large amounts of tax, Der Spiegel reports. Engels was given a base salary of 5.200 euros a month and a tax-exempt international surcharge of an additional 820 euros for his work at the Berlin Information Office. Also included in the contract was an expense account worth 16 percent of his gross salary — and he claimed 16,621 euros in reimbursement costs as his residence in Berlin was considered a “mission,” despite any actual EU missions having occurred. The SPD has defended the actions of its new leader, Claiming the contract and payments were legitimate. Yes records reveal that such contracts are relatively rare with only 13 people being placed on long-term missions out of 7,600 parliamentary workers since the beginning of 2016. The Engels case may not be the only time Schulz has attempted to make similar deals with other close confidants. A European Parliament internal note from 2015 claims that Schulz attempted to give possibly illegal career advantages to four more people within his Presidential cabinet. The note claimed that the actions were, “incompatible with the personnel regulations,” though officials of the EU parliament have declined to speak to media on the case. Reports have claimed that his family has taken over a million euros in public money and the scandal has severely harmed him in the polls. Martin Schulz took over the leadership of the SPD earlier this year from former leader Sigmar Gabriel and has given the party a huge boost in the polls against current Chancellor Angela Merkel beating her Christian Democratic Union. Currently, the left parties are only a few percentage points away from being able to form a similar left-wing coalition to that presently ruling the city government in Berlin.